Between February – May 2007, Martin lived and worked as artist-in-residence in Riga, Latvia at RIXC as part of the At Home In Europe residency program. Completing research and the work Location of I: which publishes his physical location live. Where it has been shown and featured (public output) or on this blog with more detail. Reaction to spending three months in the former Soviet Republic of Latvia as artist-in-residence. Not speaking either official language of Latvian or Russian made life confusing. Complied using: mobile phone field recordings from both my home city, London, and Riga; output from experiments using and combining speech translation software with BBC digital radio broadcasts received in Riga, from the UK, via the Internet. This is a one-year project between four media art organisations in the UK, Latvia, Bulgaria and Norway and facilitates the movement and exchange of artists and media art in four very different European countries. 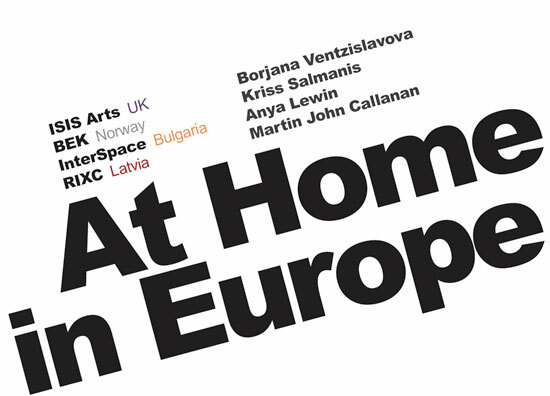 At Home in Europe is about the production and distribution of artworks using digital media and promoting the co-operation and professional development between the partner organisations. The project invites selected artists to think about what it means to be European and what it means to have a particular nationality in the light of the shifting boundaries within Europe. Daily more and more European people decide to live in other European countries. With a shifting concept of nationalities it becomes increasingly important to consider what it means to be European. The partner organisations in the project are ISIS Arts (Lead Organiser), Newcastle, (UK); BEK, Bergen, (Norway); RIXC, Riga, (Latvia) and InterSpace, Sofia, (Bulgaria). These organisations share aims and objectives, and it’s the first time they will work jointly on a project of this scale. It is anticipated that by sharing digital expertise, ideas and knowledge all organisations will benefit tremendously. The partner countries are UK, established EU members; Norway, a country that decided against EU membership; Latvia, a recent EU member, and Bulgaria, an accession country who joined Europe in January 2007. The project will address cultural celebration versus cultural assimilation within a European home. It will invite artists from European partner countries to look at what is culturally European and what is culturally national when viewed from within Europe but outside a national experience. For example: What makes a Bulgarian, Bulgarian when viewed by a Latvian? What makes a Norwegian, Norwegian when viewed by English person? Where are we different and what do we share? What do we mean by being At Home in Europe? Four artists will each spend 3 months in one of the four participating countries using digital media creatively to make artworks in response to this project theme. The outcomes will be diverse and could include works for radio or internet broadcast, video art, sound art or interactive art, and will be made accessible through a website documenting work-in-progress. During each residency the artist will present their ideas to an invited audience at the co-organisers premises, or other suitable venue. As part of their residency each artist will deliver a series of workshops with young people, which will be set up by the partner organisations in collaboration with the artist. At Home in Europe will also result in a new, co-curated screening programme featuring 16 additional artists films. The programme will be jointly selected by the partners following a transnational call for imaginative moving image works on the European theme in November 2006. Selection for the programme will be shared between the co-organisers. This programme will be toured to the four participating countries using The Big M, an inflatable space designed to take media arts and video art to new audiences. The mobile nature of The Big M means that each co-ordinator will be able to tour the newly curated programme to new audiences in their region and to target remote areas or those without suitable venues for the showing of artist film and video. The inflatable space tours in a transit van to festivals and public sites. Its fun and unthreatening facade encourages the less confident media audience member to come inside and have a look. Inside the Big M the screening programme will be accessible through a touch screen interface which runs continuously, enabling audiences to either view the entire programme or just one or two works at a time. Each participating country will have a Big M mini-tour of 5 days between May and September 2007. The programming team made up of the four co-ordinators from each partner organisation will have four meetings, one in each country. The first, in the UK (October 2006), will be an initial planning meeting. 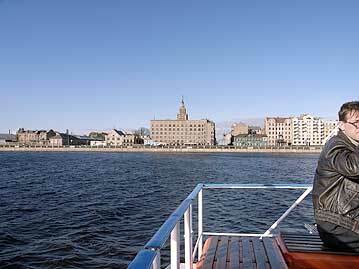 The second in Riga (December) 2006 will be a residency selection meeting, when all applications will be discussed and the four artists selected. The third meeting (February 2007) in Bergen, will be the selection of the work for the Big M screening programme and for planning the screening tour. At the end of the residency period a fourth meeting will be held in Sofia (May 2007) to evaluate the residency and plan the publication. To promote and disseminate the project outcomes there will be one main publication including a book and a DVD that will be in the four languages of the partners. The book will include an essay on the subject of European identity, writings by each organisation on their involvement and examples of the artists work. At each host venue a writer will be appointed to put the artists finished work in the context of the overall project. The DVD will feature media based work produced during the residencies and the Big M screening programme. The DVD with the screening programme will be produced with translations and subtitles (in 4 languages) where appropriate. Accompanying the screening tour an additional programme leaflet will be produced in 4 languages. Many artists, arts administrators, and the general public will benefit from this project. It will establish international networks for the future and will be a building block for further collaboration.